Have you ever tasted the delicious South African Rooibos Tea? This popular tea actually should be referred to as South Africas national drink! Rooibos or redbush tea is harvested only in the Cederberg region of South Africa and has a distinct colour and flavour. Here are some interesting insider tips and facts about this tea for you to enjoy. What means rooibos and where does it come from? The term comes from the Afrikaans rooi meaning 'red' and bos meaning 'bush'. The Rooibos or Redbush tea plant, the Aspalanthus linearis, is indigenous only to South Africa’s Cederberg mountain region. The hardy shrub-like bushes survive the cold temperatures in winter and the draught which is often prevalent in summer in this arid mountain area. The region around Clanwilliam, 250 km/155 miles north of Cape Town, is dominated by the Cederberg Mountains and a popular weekend destination for many locals who enjoy hiking, nature and starry skies. It is here that the tea plant grows because of the favourable microclimate of this region. Rooibos only grows here and nowhere else in the world! Where to try and taste Rooibos Tea in Cape Town? Rooibos tea is growing in popularity all over the world due to its refreshing taste and healthy properties. In Cape Town this South African specially can be enjoyed now in the extraordinary setting of the lovingly designed café Coco Safar, a brand which promises a 'Journey beyond ordinary' - and they definitely keep to their promise. Coco Safar recently opened their flagship store in Cape Town's seaside suburb of Seapoint. At the stylish but relaxed café in the revamped Artem Mall (previously Adelphi Centre), luxury and a sustainable lifestyle is truly celebrated. The staff is well versed with local and international guests and they enthusiastically inform about the finest rooibos delicacies on offer. At the emporium you will experience delicious rooibos latte, rooibos infused french patisserie or mixology cold-brews with a twist in a very unique luxurious environment. Coco Safar also offer fascinating tasting tours. The taste sensation surely will convince you to stock up on rooibos or specially convection-roasted coffee before going home. Just one more fascinating fact: Coco Safar produce the world's first compostable rooibos capsules. The pods can be used in your usual coffee pod machine such as a Nespresso machine. Lastly, I simply must mention too, that they are famed to produce 'the best coffee in the world' - according to Bloomberg, and certainly, their siphoned coffee is truly out of this world! Find out more about Coco Safar here. This South African tea has many healthy properties: It is caffeine free, low in tannin content and rich in antioxidants. It does not contain oxalic acid so even people suffering from kidney stone can drink this tea. Rooibos is praised a magic medicine, herbal remedy for many health problems and ailments. Redbush tea relieves and combats: insomnia, irritability, headaches, hypertension, skin irritations such as acne and eczema. It is available as red rooibos in its fermented state or as green rooibos, which is even healthier and has a very unique taste. How does Rooibos tea grow? The needle-like tea leaves grow on shrub like bushes which are between 0.5 to 1.5 metres in height. To harvest the leaves the workers cut of branches, then the leaves get chopped and bruised, and, usually, left in the sun to ferment. The color of the leaves then change from green to amber and develop the distinctive sweet aroma and flavour. Who discovered this South African tea? Botanic Carl Thunberg named the plant after on expedition to the area in 1772. Russian immigrant Benjamin Ginsberg, born into a family who was involved already in the tea business in Europe realised the tea's marketing potential and began marketing the tea in 1904. Rooibos was first marketed it as 'Mountain Tea'. Modern cultivation began only in the 1930s. The popularity of redbush tea grew in the last ten year. Today, the biggest importers are Germany, Japan, Netherlands. You can find many different brands of rooibos tea in Cape Town in Supermarkets like Shoprite Checkers, Spar, Pick and Pay and Woolworths. 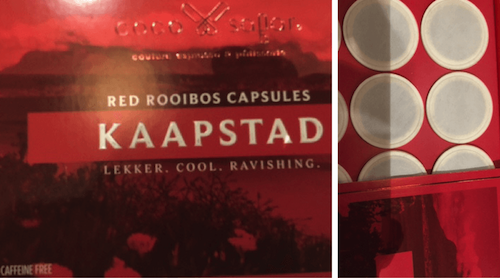 The distinctive and delicious rooibos products Coco Safar offer in their cafe, however, can only be bought at their capsule emporium in Seapoint. So make sure to stock up when you are there. There are many different brands available in the South African Supermarkets like Clipper Organic, Freshpak and the famous South African Eleven o’Clock Rooibos Tea. Redbush tea comes not only in its original form but is available in many different flavours. Most of the tea is organically grown as well. Rooibos Tea is also used in many cosmetic products. The brand Annique offers the widest rooibos cosmetic product range, but there are other health and beauty brands that increasingly include this healthy product in their ranges. You will find rooibos cosmetics in many pharmacies in Cape Town. If you want to find out more about rooibos cosmetic products, here you will find a treasure of information regarding the use of this tea plant in cosmetics. If you ever have tried flavoring your meals with rooibos you will get hooked on the distinct but subtle flavour. There are various fantastic recipes also to be found in a 'rooibos collection' on this website. Or find out about great South African dishes with rooibos in this new excellent cookbook: 'A touch of Rooibos'. 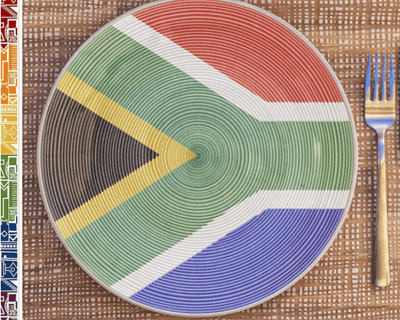 In this South African cookbook, fourteen of South Africa’s most prominent chefs share their recipes containing this special ingredient. There are over 100 recipes in this volume so be sure to find some recipes for every taste. 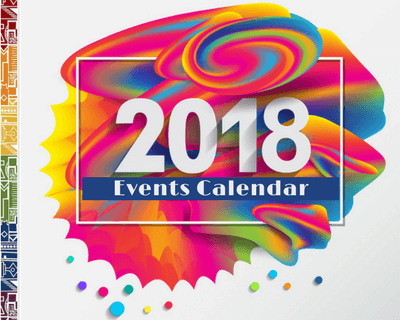 Subscribe to our ExpatCapeTown newsletter - It's Free!